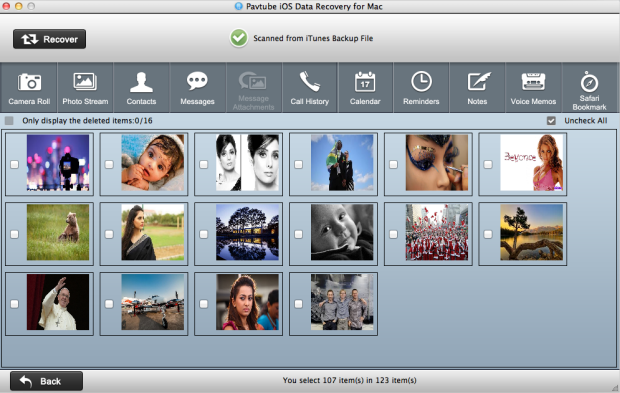 Pavtube Studio is Giveaway iOS Data Recovery on GiveawayOfTheDay.com on March 3, 2014. 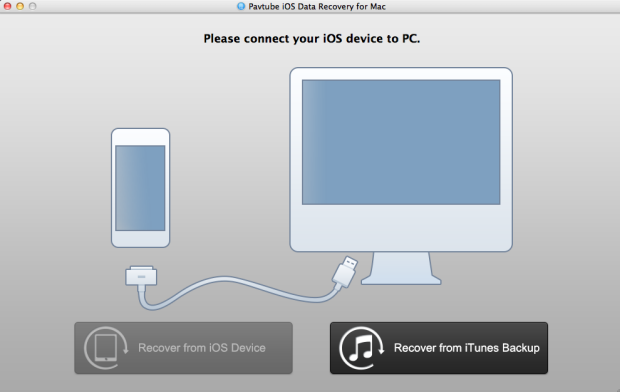 PavtubeiOS Data Recovery is the best iPhone, iPad, iPod Touch, and iTunes data recovery software, Users can now backup and restore their data for free. “iOS Data Recovery is a pretty new software released in the New Year. And the reason why we provide this giveaway is to help more users to recover their lost iOS and iTunes data on either Windows or Mac computers. And also we hope to get more advices and suggestions from them to make the software more user-friendly.” said Betty Yu, the brand’s manager. The issue above is not a rare experience for iPad users. but you don’t worry about that，there is a good solution to selectively recover deleted iPad photo and other data ,please read on the following tutorials. Tutorial : How to selectively retrieve deleted photo from iPad? You may know that when you sync your iPad with iTunes, the software will create a backup file automatically on your computer, but you are not allowed to view or copy that file out of iTunes directly. Only using a professional iPad Data Recovery tool which can easily recover the deleted photo from iPad by extracting the photo from iTunes Backup file. It is available to iPad air,iPad mini,mini 2,iPad 3,iPad 2, etc. Note: Don’t sync your iPad with iTunes anymore after you deleted your photo, otherwise, the backup file will be overwritten and then you can’t get back the deleted photo on iPad. Free download the trail version by clicking the below icon and install it on Mac,if you are a windows computer user,you can get the windows version and do the same operation as below. When running the iPad data recovery on your Mac, you’ll get the interface as follow. 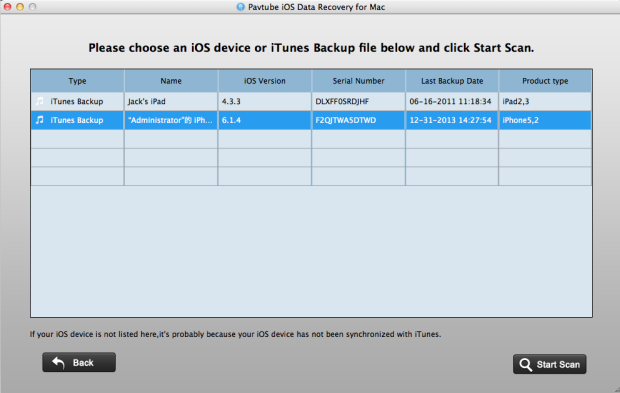 Choose “Recover from iTunes backup”. 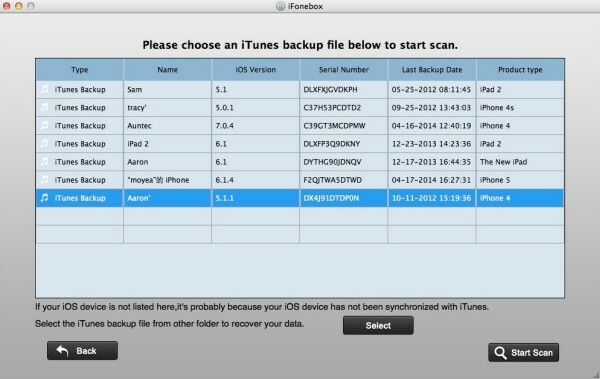 Select an iTunes backup file of your iPad and click “Start Scan“, this software will automatically scan and find out all the files what stored in iTunes backup. Note: The number of backup files displayed here depends on how many Apple devices you’ve synced with iTunes before. After the scan, you can preview all found data in categories. To preview your photos, you can choose Camera Roll or Photo Stream. Photos found here are not only those deleted, but also includes those still on your iPad. Check box “uncheck all” to unselect all the photos and then you can selectively mark photos which you want to recover and click “Recover” button to save them on your Mac with ease. With iPad Data Recovery, You can also recover other data like videos, contacts, SMS, notes, calendar, call history, voice memo and more from iTunes backup. Delete photos on iPad by accident; photos and videos lost from iPad camera roll after upgrading iOS system; photos and videos all gone due to factory resetting or system restore; there are many reasons lead to photos and videos lost on iPad. This magic iPad data recovery tool could help you find out the iPad deleted photos and extract them from backup files. 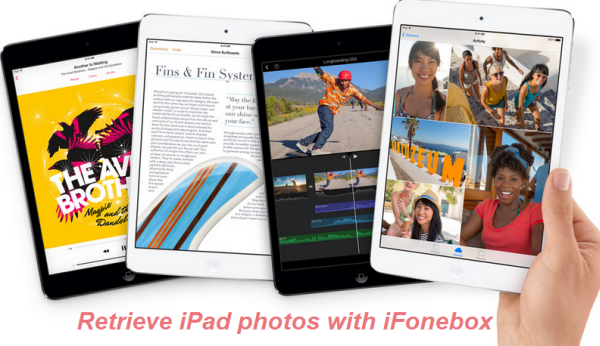 You are allowed to preview the contents of the photos and selectively recover the deleted photo from iPad backup. only a few steps you can quickly get back deleted photos on iPad . if you are running a computer, you can get iPad Data Recovery for Windows and doing the same operations as below on your PC. Both of them supports iPad air, iPad mini, iPad mini2, iPad3, iPad2, iPad1 etc. How to retrieve deleted/lost and videos from iPad/iPhone/iPod camera roll on Mac? Running iPad Data Recovery on your Mac, Choose “Recover from iTunes Backup”, the software will detect backup files automatically. After scanning finished, you can see a categories on the top side of the window include camera roll, contacts, messages, etc. click the “camera roll” icon, all deleted and existing photos and videos displayed here, preview the photos one by one and selectively mark those you want, then click “Recover” button to save them on your Mac . Restore iPad to factory setting and lost all your data on iPad? If someone encounters such a situation, maybe the first thought also is restore lost data from iPad backup. Well, if you have synced your iPad with iTunes, iTunes will create an iPad backup file automatically and save it on your Mac so that you can recover iPad lost data from iTunes backup. But what if the iTunes doesn’t work and you couldn’t access the folder of backup files to extract anything from it, at this time, What you need is iPad Data Recovery for Mac, which can help you extract data from iTunes backup and recover iPad lost data on Mac. Furthermore, you are allowed to directly retrieve data from iPad if you don’t have any backup files. Let’s check the steps below. Free download iPad Data Recovery for Mac .If you are running a computer, you can get the Windows version and doing the same operations as below on your PC.both of them supports iPad air, iPad mini, iPad mini2,iPad3,iPad2,etc. Note: If you want to recover lost data from iTunes backup, please remember not to sync your iPad with iTunes when you realize that you’ve lost data, or the previous iTunes backup file will be overwritten after the sync. All your iTunes backup files of your iPad, iPhone or iPod touch which has ever synced with iTunes on your Mac will be automatically found and listed here. Select the one for your iPad and click “Start Scan” button to begin iTunes backup extracting. After scanning finished, all your files backed up by iTunes can be found and displayed in categories. Preview the content at first, then selectively mark and recover those you want by clicking “Recover” button to save them on your Mac. Notes：you can check the box “Uncheck all“ to unselect all files, and then select what you want one by one. If you only want to regain deleted files, please check the box “only display the deleted items” to list deleted files only, so that you can easily restore the deleted files and save time. 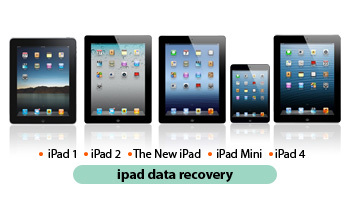 Run iPad Data Recovery for Mac. 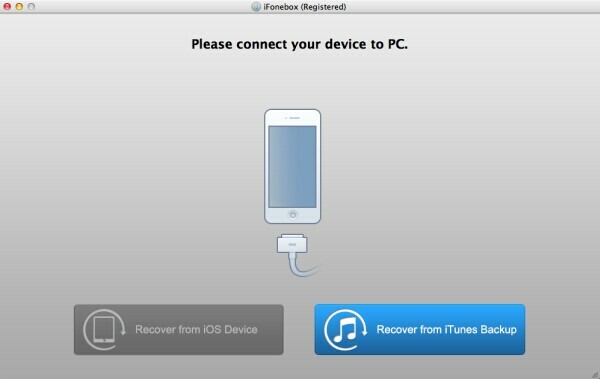 Connect your iPad to Mac via a USB cable, Choose “Recover from iOS Device”. Then the software begins scanning your iPad automatically for lost data, all the data on your iPad would be detected and listed. After the scan, all found data are displayed in categories, like contacts, messages, message attachments, call history, camera roll, photo stream, photo library, calendar, notes, reminders, voice memos and safari bookmark. You can preview the contents and selectively mark those files you want, click the “Recover” button after making your decision to save them on your Mac.